The Canadian dollar had a nice bounce after the Bank of Canada rate decision and monetary policy report today. And an equally nice fall. 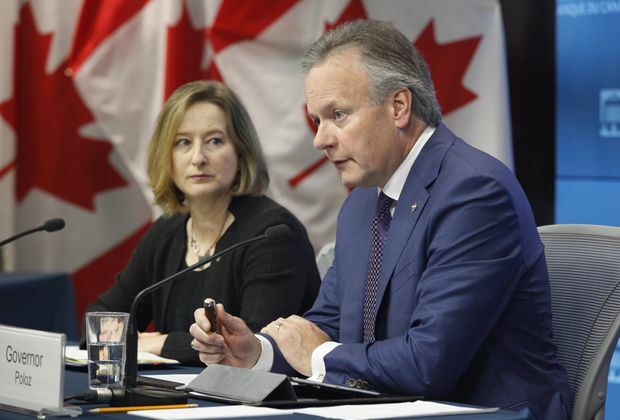 As The Globe and Mail’s Barrie McKenna reports, central bank governor Stephen Poloz, senior deputy Carolyn Wilkins and their colleagues raised the benchmark rate by one-quarter of a percentage point, to 1.5 per cent, as widely expected. They also pointed to further, if gradual, increases down the road, a loonie-friendly approach as higher interest rates are attractive for the Canadian dollar, sparking the initial jump. “Governing council expects that higher interest rates will be warranted to keep inflation near target and will continue to take a gradual approach, guided by incoming data,” the central bank said, though noted the uncertainties that still rule the day. “In particular, the bank is monitoring the economy’s adjustment to higher interest rates and the evolution of capacity and wage pressures, as well as the response of companies and consumers to trade actions. The U.S. economy, it noted, is running at a stronger-than-expected pace, in turn leading to market speculation of higher interest rates and, thus, driving up the U.S. currency. “This is contributing to financial stresses in some emerging market economies,” the Bank of Canada said. “Meanwhile, oil prices have risen,” it added. The loonie has been affected by the different pace of rate hikes between the Bank of Canada and the Federal Reserve, and fears that the global trade war will escalate, which it has. “The market was short CAD and is now scrambling to cover,” CIBC’s Mr. Rai, referring to the loonie by its symbol, said of the immediate jump. The currency then fell, helped along by a stronger U.S. dollar and lower oil prices. Where Canada is concerned, the U.S. hit imports with tariffs on steel and aluminum, prompting Ottawa to fire back, and is now threatening to punish autos, as well. “A statement announcing a rate hike has to sound hawkish enough to explain why the move was necessary, and this one met that mark by citing stabilizing housing, better exports and capital spending despite trade tensions,” said CIBC World Markets chief economist Avery Shenfeld. “Over all, with the statement retaining the call for gradually higher interest rates ahead, guided by upcoming data, there isn’t anything surprising to us in the message, but those who somehow thought the bank could sound dovish while hiking rates on the same day may be a bit disappointed,” he added. Tim Hortons is expanding into China in a key joint venture for the coffee-and-doughnut chain. 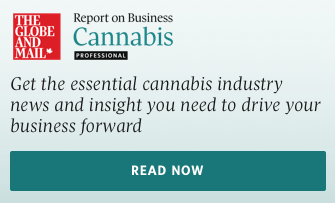 Tims is linking up with Cartesian Capital Group to launch more than 1,500 outlets in the country over a 10-year period. “China’s population and vibrant economy represent an excellent growth opportunity for Tim Hortons in the coming year,” president Alex Macedo said in announcing the initiative with the private equity firm. David Milstead: Are U.S. banks an opportunity, or forever out of favour?